While chicken breasts are fine cuts, and always popular, there are a few other cuts from the poulty aisle worth buying and exploring. 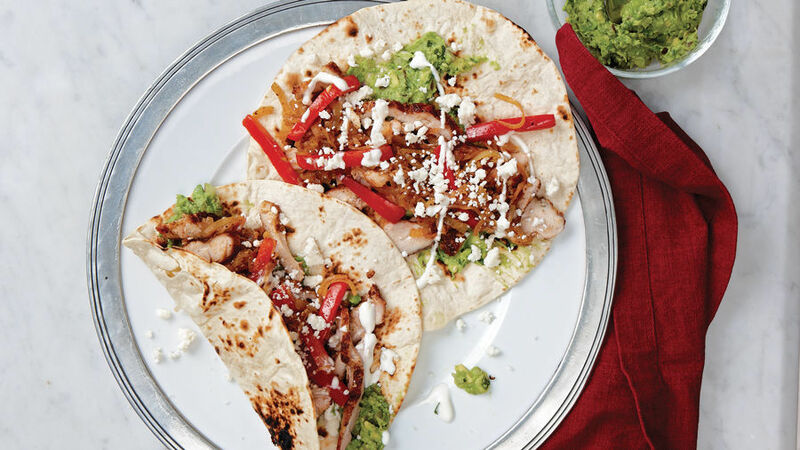 The rich, dark meat of boneless, skinless chicken thighs stands up well to intense flavors like the cumin, red pepper, and lime in this quick and easy dish. Mix 1 tsp. of the chili powder, 1/2 tsp. of the cumin, 3/4 tsp. salt, and 1/2 tsp. pepper in a small bowl. Season the chicken on both sides with the spice rub. Heat 1 Tbs. of the oil in a 12-inch skillet over medium-high heat until hot. 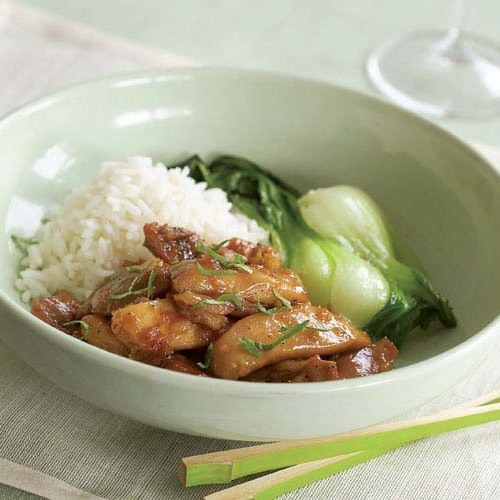 Cook the chicken without disturbing, except to flip, until both sides are browned and the chicken is firm to the touch, 3 to 4 minutes per side. If it browns too quickly, reduce the heat to medium. Transfer the thighs to a cutting board and let them cool slightly. Meanwhile, heat the remaining 1 Tbs. oil in the skillet over medium-high heat. Add the onion, bell pepper, and 1/2 tsp. each salt and pepper and cook, stirring occasionally, just until the vegetables begin to soften, 3 to 4 minutes. Stir in the garlic and the remaining 3/4 tsp. cumin and 1/2 tsp. chili powder and cook until fragrant, about 30 seconds. Stir in the lime juice. Transfer to a bowl, cover loosely with foil, and keep warm. Cut the thighs on the diagonal into thin slices, transfer to a plate, cover, and keep warm. Heat the tortillas according to package directions. Fill each one with a few slices of the chicken and some of the onion mixture and cheese. Fold the filled tortillas and serve. Serve with Black Bean & Corn Salad. We substituted a few ingredients such as lime juice for lemon juice and didn't put any chilli powder because I'm not a big fan of it! Overall, it was awesome!!! Delicious!!! I didn't change a thing. This will definitely become a weekday favorite. These are really good! I didnt change anything and I loved it! It turned out all to be amazing! Visit www.gourmandia.com for more great and appetizing recipes. I have learned more practical knowledge from this site. Thanks!